Here is a Bunch of Love that has been made keeping in mind to increase “Love and Romance” in your love life. 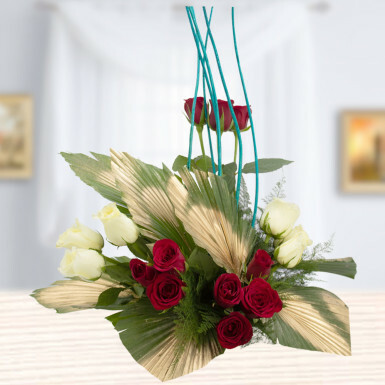 This basket is made with red roses, white roses, dry colored sticks and talpati in such an attractive manner that steal the heart of everyone at first look. And if you are thinking a lovely gift for your precious one, then this basket can be an ideal gift for them. Create a romantic atmosphere, make them feel special by presenting this Bunch of Love and get it on your desirable place by placing an order of it from us.